As part of the Senior Operational Management Team and reporting directly to the Assistant Director of Care & Support you will provide operational leadership to ensure ARK’s people, development and operational objectives are met. The Area Manager will be accountable for the operational delivery of Care and Support and Business Development within area of responsibility and the implementation of policies, procedures and systems that supports ARK’s business development strategy. 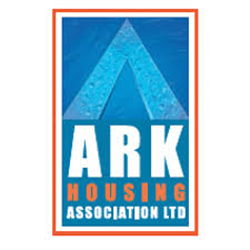 The successful candidate will lead in implementing the strategic objectives for their area and will have delegated responsibility for ensuring that ARK Housing Association provides developments and services of the highest standard which are cost effective and responsive to the needs of service users and tenants. A key aspect of the role is the provision of accurate and timely operations and business development performance reports, function KPI’s, forecasts and budgets. Central to this, is the ability to analyse, interpret and report accurate and timely data; update forecasts and plans based on the learning of in month results. The position requires the post-holder to be able to operate at a senior management level with appropriate decision-making and problem-solving skills, and with a firm professional ethic. Motivational team leadership and team development abilities are necessary with a positive commitment to continued professional development for self and others. Strong organisational, interpersonal, negotiating and influencing skills are prerequisites. The post covers ARK’s Borders Services with service provision throughout the Scottish Borders Local Authority area; however the base of the successful candidate is negotiable. The post holder will be a Registered Manager for regulated services and it is essential that the successful candidate has a working knowledge of the regulatory process and National Care Standards.